What’s Holding You Back from Getting Life Insurance? Is there something preventing you from getting life insurance? Do you, like most Americans, acknowledge that you need it but don’t have it? 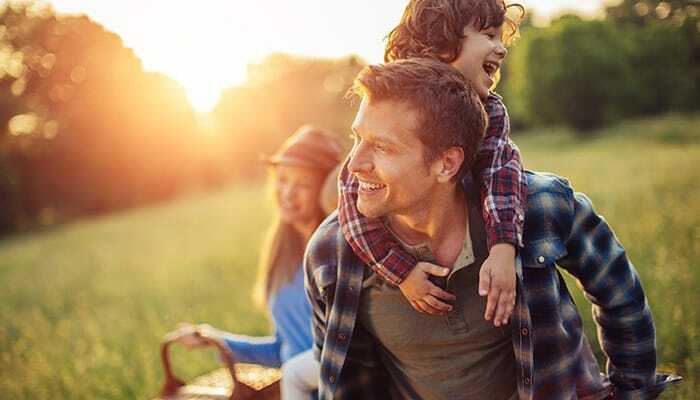 According to a study from Life Happens and LIMRA, 85 percent of respondents agreed that the majority of people need life insurance. However, only 59 percent said that they have it. The biggest reason people don’t have life insurance is because they think it’s too expensive. According to the aforementioned study, consumers have a tendency to overestimate the cost of life insurance. Here’s an example: when the participants were asked how much the cost of a $250,000 term life insurance policy was for a healthy 30-year-old, the median estimate was $500 a year. This guess is more than three times the actual amount. Considering this, life insurance is probably not as expensive as you think. Despite popular belief, having a health condition doesn’t necessarily disqualify you from getting life insurance. If you have overcome serious conditions before, or if you are properly and responsibly handling a current condition now with the assistance of a medical professional, then you will still be able to get coverage. A lot of people tend to think that you don’t need any health insurance unless you have children. Although that is a big reason to get life insurance, there are other reasons people should get life insurance. One might be to financially provide for a spouse or another family member. Another might be to cover the costs of a funeral. A virtuous reason to get life insurance would be so that you can leave a generous donation to a religious, educational or charitable organization that means a lot to you. Staying at home to take care of the kids, to cook for everyone in the house, to clean the house, etc. is an important job with a lot of work. So much work that it could be a bit pricey if your family wanted to hire someone to do it all. Life insurance would help your family cover that cost. Not many people do when it comes to life insurance, but that’s what our professionals at Assure America are here for. Erie Insurance offers Erie Family Life, which gives you options like term insurance and permanent insurance. Term insurance is made to only last a specific amount of time, while permanent insurance is made to last a lifetime. By talking to your agent, they can help you determine what plan best suits you and your budget. You can also use Erie Insurance’s life insurance calculator to help you understand what you need as well. Sometimes life gets busy, and it’s hard to set aside time when you have so much on your plate. Thanks to the age of the Internet, though, Erie Family Life provides e-signatures on life insurance policies so that the process is quick and easy. ERIE LifeSense® is also convenient; it can provide you up to $90,000 worth of life insurance in only 15 minutes. All you need to do is fill out an application and answer a few medical questions. Although it is understandable why you wouldn’t want to think or talk about life insurance, it’s too important to ignore. At the end of the day, it’s about protecting the people that matter the most to you. While the topic may be difficult to discuss, the only detrimental decision is deciding to do nothing at all. To receive a free life insurance quote, please contact one of our professionals at Assure America. We have locations in: Weirton, Wellsburg and Chester in West Virginia; Steubenville, Ohio; Louisville, Kentucky; and Pittsburgh, Pennsylvania.